RV Mail Service can be a very complex issue today. If you are a Full Timer, you have no "Stick & Brick" address anymore! 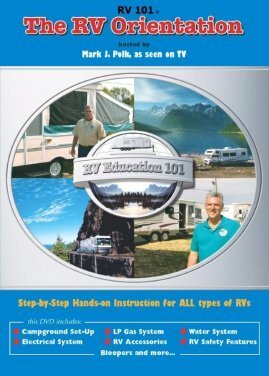 Driving a RV requires the operator to have a Driver's License. How do you get that without a "Legal Address"? *Is there a "Luxury Tax" on your RV? *Do they require Safety or Emission Inspections? *How will you get your mail? *What state do you declare when paying your taxes? *More importantly, what states have the best "Tax Structure"? All of these are very complex LEGAL Issues that each individual must research very carefully. And you thought RV Mail Service was easy!?!? Deciding on which state to have as your "residence" is a very personal and complex decision. Since you have sold all your property assets, you need to pick a state to establish your base, and therefore your driver's license and registration(s). An integral part of this entire process is selecting which company is to become your USPS mail receiver and forwarder. You may like an Association in one state, but the actual residence laws within a different state. You can be anywhere and appreciate and use an Association. However, once you pick your residence state, an entire bunch of legal issues will be started and resolved, all at the same time. You'll quickly find that RV Mail Service and Forwarding Companies are a "Big Business" in itself. It only takes a little paperwork for the companies to actually receive and sign for your mail, and your all set - that's the easy part! 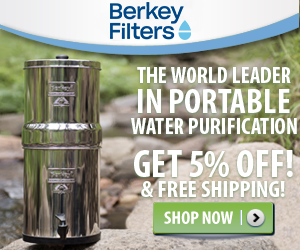 Their rates are similar, but that will require current research. Remember, the price should NOT be the deciding factor alone! Whenever you then want to "get your mail", you just email/call them and they will forward it in a single package to wherever you tell them. Some will open, scan and then email you the mail. All part of what's important to you, how much you want to pay, how private you are, etc. etc. Personally, we would never do that! Too easy for identity theft issues to happen! That is such a horror to straighten out too!! South Dakota is a very popular state for RV'ers - that's why you see so many RV's with South Dakota License Plates!! 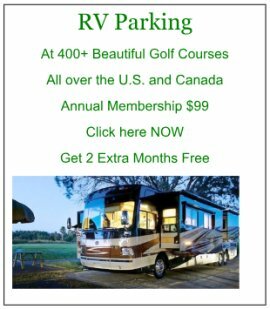 South Dakota's tax structure is excellent and they seem to be one of the few states that actually encourages RV'ers to establish their "residence" in South Dakota. Texas is a very popular state for Mail Forwarding. 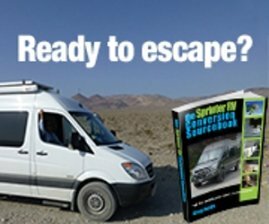 Escapees RV Assoc is one of the predominant providers in that state. Their Association provides an excellent Mail Forwarding Service for thousands of RV'ers. Florida is a great mail forwarding state - probably because there are so many Boaters and RV'ers that live there! People living on their Boats have the same issues that RV'ers do - where do they really "reside legally"? A popular company called My RV Mail has a thriving RV Mail Service in Crestview, FL. Which State Is Best For You? Choosing the correct RV Mail Service is critical. From this will determine your state of residency for everything - Voting, Health Insurance Rates, Tax Considerations, Fees for Registration(s), Driver's License Testing, etc. Take your time to be sure! Once you select a state and company, it becomes more difficult to change - especially since all of the 9/11 requirements today! Be sure the state you chose provides a "Federally Approved" State Driver's License. Now that you've picked a company to sign for and receive all your mail, their "address" will then become your legal address for your driver's license and registrations. This also means, you must go to that state to get your driver's license changed from your old state to the state you just selected. The RV mail forwarding companies can get your registrations/tags for you, but YOU personally must show up for a new driver's license. All this research!!! Hopefully, this will help you narrow it down though!! You'll quickly realize that a handful of states are very "RV Friendly".